Where is it ? 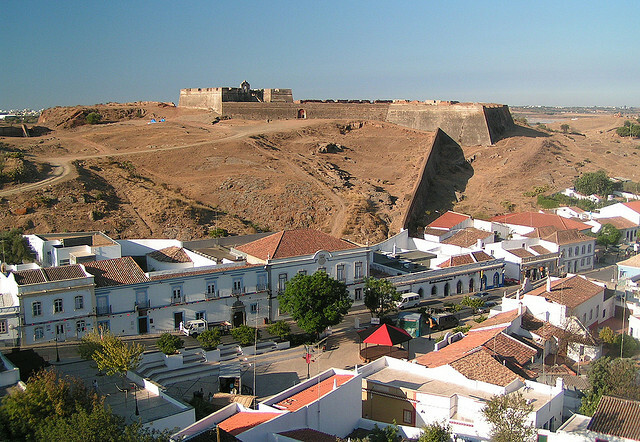 About 60 kilometres East of Faro, Approximately fifty minutes Journey by car. Castro Marim faces the Rio Guardiana and looks over toward the Spanish border. How Big is it ? The Region has a Population of over six thousand. The village however is not very large and the size of its historical castle shadows the village . Who goes there ? Holiday makers are probably better heading south to the coast to the fantastic beach area of Praia Verde in Monte Gordo. Castro Marim however is an area of natural beauty and the hillside town is full of Algarvian rustic charm. What about food and accommodation. There are not many large apartments or hotels in the area but there are plenty of private villas to rent. There are a number of restaurants in the town but anyone travelling to Castro Marim should consider hiring a car to travel about to neighbouring villages or even take a trip across the border to Spain. As you will be able to tell by the Massive ruins of the Thirteenth century Sao Sebastiao castle that dominates the area, Castro Marim was once a key fortification that protected southern Portugal from The Moors initally and later the Spanish.